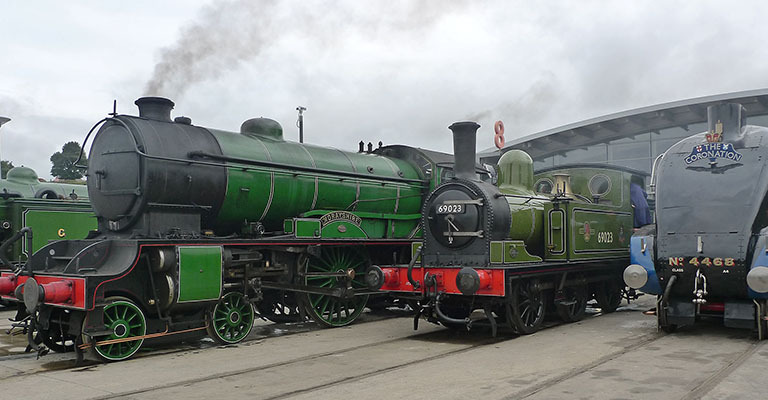 The museum offers visitors the opportunity to view many unique and historically significant railway vehicles and enjoy interactive displays. We operate on a large site stretching over 1km with both outdoor and indoor areas (however the majority of displays are indoors). We have car and coach parking at both ends of the museum site. The “Welcome” end of site is home to historic buildings which are interpreted through contemporary displays and includes rail pioneer Timothy Hackworth’s original cottage, the displays here explore the development of Shildon as a railway town. At the “Collection” end of site there is the state of the art building housing star attractions include the APT-E tilting train, the royal train of Queen Alexandra (wife of Edward VII), NER No. 1621, Cornwall and Hardwicke and the Stirling Single No. 1, alongside various other steam engines, carriages and wagons. We also offer over 40 events per year including various classic vehicle rallies, craft and antique fairs, family events plus including our annual steam gala.